Recently I worked as a camera operator on a commercial for the company DJI. The purpose of the commercial was to showcase the unique angles and perspectives the DJI Phantom Drone can capture. 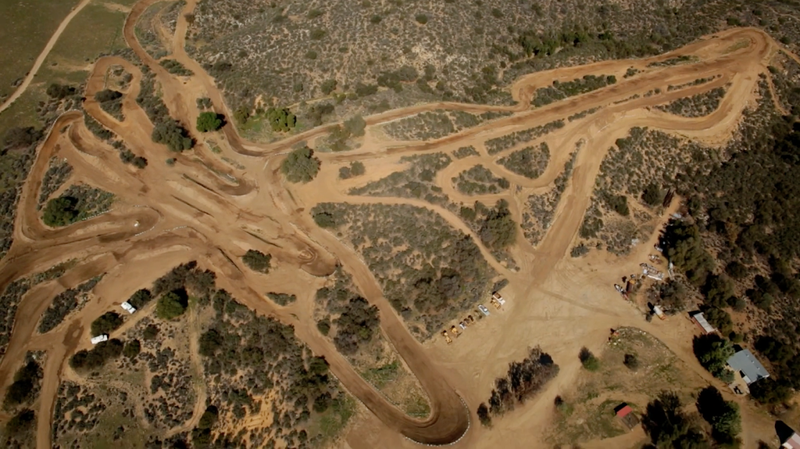 We shot on 2 RED EPICs from the ground while 7 Phantom Drones covered the action from the air. My main focus as an operator from the ground was to capture both the motocross rider and the Drone in the same frame as much as possible. This was to connects the “product” to the action throughout as well as showcase the drones ability to keep up with the subject. Before shooting the piece myself and fellow DP Matt Roe researched various motocross videos to see what angles would be most dynamic and what angles to avoid. Some of the footage that looked the best was shot on wide angle lenses very close to the action. This proved to be difficult to get while remaining safe, but I think we shot some really amazing footage. I was positioned on a slider most of the day, and I often shot on a wide lens right from the dirt. Being this close to the ground helped make the slider move read because the dirt served as a nice foreground element. 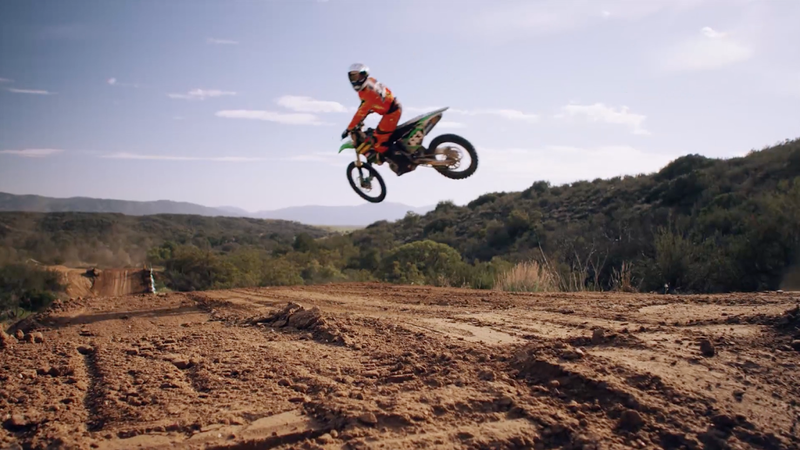 A key concept that was introduced on set by Matt while shooting was, “In order to shoot motocross well, don’t shoot motocross.” In short, compose interesting and unique frames without focusing on the rider, and then let the rider enter these frames and become part of them. Shooting with that concept in mind really helped the piece as a whole. We also shot an interview with the rider in order to get his perspective on the drones ability to follow the action. We used an 800w joker and some neg fill for the interview. In order to bring the most out of the skies we made sure to dial in the polas as much as possible. It was a long day of scrambling through the dirt and hoping on and off gators with heavy gear but watching the finished product made it all worth it. 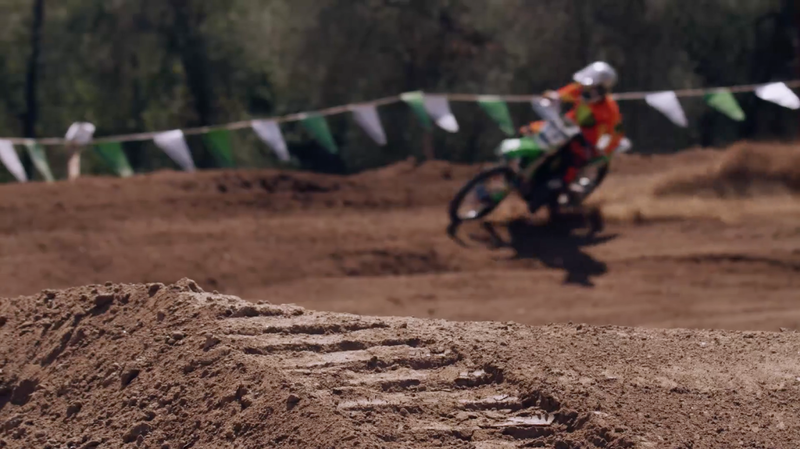 I think the music and the sound design helped further differentiate the piece from other motocross videos. Director/Editor Don Broida did an amazing job putting this one together. If flows well and really pushes the product in a way that doesn’t feel forced while keeping the piece exciting and up beat.